If you have a blog, you probably have dreamt of being discovered for your scintillating writing or cutting edge photography and offered a book contract or given the opportunity to have your blog exposed to a wider audience over night by some benevolent soul so taken by your craft that they share every one of your blogs to their own personal subscription of 100,000 or more readers. But today, with thousands of blog being started every single day, the chances of winning the lottery have better odds than being discovered through your blog. So when I first began my blog, I thought I’d better do some research to get informed on the ins and outs of blogging. I read a lot of information (on other blogs) guaranteeing to increase my reading audience, improve my SEO (search engine optimization), build my email list, build my tribe, make passive income from my blog….. blah blah blah, and I must admit that at first I got a little overwhelmed. Did I have what it takes to be a successful blogger? I was having a hard enough time just figuring out the WordPress site I use to write my blog and now I needed to become a marketer, a systems analysis, a group leader and write a witty, thought provoking blog on a daily basis as well! What had I gotten myself into? I thought about giving up, just forget about blogging, I mean, what did I really have to say anyway. Who did I think I was stepping into the arena with the big boys. Sure some of the really successful professional bloggers have stated that they knew squat themselves when they first started blogging and that gave me some comfort until I realized that when they started, blogging was in it’s infancy, everybody was in the same wagon trying to figure out this new kind of media. The playing field was relatively level. I was trying to jump on this bandwagon much further down the road. Would I be able to run fast enough to get on? After some hyperventilating and when my heart rate finally returned to normal, I realized that I was attempting to run before I even learned to walk. Any new skill has to be learned, practised and perfected before you can consider yourself a master at it. I needed to master the basics of blogging first. I wasn’t ready to even consider the stuff I was worrying about. I got to the real issue at hand by asking myself some get real questions. What was the reason in the first place that compelled me to start a blog, what did I want to get out of it? What honestly, did I hope to achieve by doing it, and what was it that I wanted to say to anyone out there willing to listen? Once I could answer those questions, then I could move on to honing my writing techniques through practise, practise, practise and only then would I be able to offer up a polished product to a wider audience. 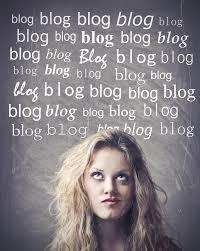 So what is the most important element of my blog and what is the reason I wanted to create one. For me, it isn’t to get famous and make lots of money at blogging, although I wouldn’t turn it down if it happened, it is to connect. Connect to others with the same interests as mine. Connect to people with different views who might teach me a thing or two. Offer something that challenges people to think deeper, maybe open their hearts up a little or write something that offers a good laugh or just a smile. A soul to soul connection, that is something I search for everyday of my life and know that others seek as well. I believe making a deep connection with another person is as basic a need in humans as food, water and air. Our communication skills have evolved and continue to evolve more than any others species on the earth. We continually create new ways to convey our message and now blogging allows the average person with a computer the ability to reach the world, well potentially at any rate. In my other, non blogging life, I work in retail and have for 35 years. Occasionally I think about another career path, because lets face it, one does not work retail for the rich compensation package. I always decide to stay in this industry though. Retail affords me a diverse supply of human connection that few other careers could. I never know who will walk through the door and what kind of interaction we will have. Will it be just a pleasant, “hello, are you enjoying the beautiful weather out there today?”, or could it be a half hour chat where my customer shares some personal part of their life. I have long since gave up being surprised by the private information people choose to confide in me. Retail is part sales, part coaching and part counselling. My work gives the term “retail therapy” a much deeper meaning especially when I am graced with a soul to soul connection with another human being. For me, blogging allows me a different, more creative platform in which to offer up human contact and kinship. If I touch just one person with each post I write, that is enough for me. As I perfect my blogging skills, who knows, more than one person may be impacted by my words. Well now that is the stuff of dreams. For now, I will keep it simple, hone my craft and just focus on the basics until such time as I am ready to enter the arena with the big boys with their email lists, passive incomes, tribes and SEO’s. Until then, it is my hope that you and me connected and I, at least, made you smile. Hi, Diana! Well, you connected with me. I love following your blog. I can hear your voice through your writing. I was in town on Sunday; maybe Dan told you, he came over to my mom’s- it was so good to see him! I can still see the teenager we once tended to ignore/ avoid/ harass. He told me he is so happy to have re- connected with you and Darlene after his accident. Well, I don’t have much else to say and I’m at work, so catch you later!